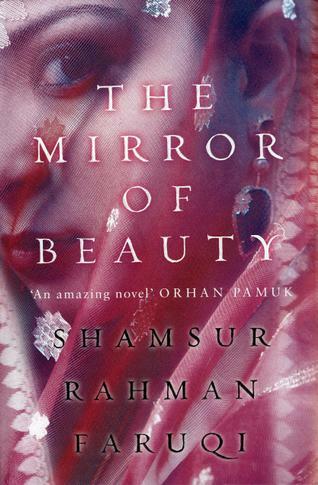 Well I have raved about this Epic written by the renowned Urdu Literary critic , publisher and editor Shamsur Rahman Faruqi .He is the publisher of the well-known Indian Lit journal Shakhoon .This is his debut novel but he has in the past published a four volume study of the well-known poet Taqi Mir .The reason I held of on my review of the book is a feeling that this book would at some point get a Uk release but a few months on it seems not yet and I really want to share my love of this book .Which for me is easily the best piece of Indian fiction since and if not even better than midnight children . Wazir Khanam ,ALSO and perhaps better known as Choti Begam (Younger lady ) , was born around 1811 .She was the third and youngest daughter of Muhammad Yusuf ,maker of plain gold ornaments .She was born in Delhi but Muhammad Yussuf was not native to Delhi .His ancestors were from Kashmir .How and when these people reached Delhi , and what befell them in Delhi is a very long story . The intro to the book explains where Wazir came from . The novel is set just as India is changing the East India company is gaining a foothold and the Mughal’s are still about but their power is on the wain .We see this world through the eyes of Wazir Khanam ,she is a rare beauty and a rare women .Through the book she takes two lovers , also has two husbands along the way gives birth too a number of children among those is Dagh a well-known poet .But this is his mother’s story she is a women that has lovers from both sides of the India she lives in both British and Indian .She is almost a new women, not a figure we have been portrayed in other books about Indian in this time ,no this is a strong-willed women that loves her life and her world and likes to be in control of it as much as she can .She first meets and marries a charismatic English man called Blake, so she moves away from Delhi but the marriage ends when he is killed and she returns to that city .She then meets Nawab Khan and she also has many other lovers .This also sounds like a well lived but actually Wazir life is a battle and a lot of her loves end badly .But she loves her world the world she lives in is moving from the regal Mughal empire into the commerce and chaos at times of the British and the East India company .We see a world of painters ,carpet makers ,the desert of India to the valleys of Khasmir and finally the chaos of the Metropolis Delhi through one women ,her husband ,lovers and children .We she her effect on the world a ripples in time and the people she touched and her family touch move in this changing India ,rather like the children born on the stroke of midnight in Rushdie’s midnight children Wazir and her family and friends move the world of their time . It took a great deal of argument before Wazir could persuade Marston Blake to approve the name Badshah Begam for their first daughter ,He refused to consider any other name than Sophia ,a name that identified her as a Christian .After a great amount of discussion in the first instance , he agreed to Masih Jan a name that was vaguely Muslim and could also be taken as Christian . Well as you see this book some how captures a world now gone and little written about .Faruqi is like an Indian dickens ,or even Hillary Mantel the lives touched in this book are the ones you don’t know a lot about ,the ones just down from the top Nobel men ,high-ranking officials but not the big ones ,but people near the top and how this women effect them and her .He captures a world I loved that of the Darlymple books. But he brings it to life of the page .I feel the fact he took six years to translate from his original Urdu book to this English translation has made every word seem as thou they were written originally in English it is flawless .I feel this is maybe the greatest Indian novel and feel my heart sink that it isn’t even getting an Uk issue you can buy it via Amazon and I strongly urge you to buy it as like me you will no doubt be blown away by its beauty and world .Faruqi really weaves 19th century India he said in an interview his love of Urdu poetry at the time lead to the figure of Wazir and as he wrote he check up facts and built the story that way .I really enjoyed the arts and crafts described in the book from poets to carpet makers their jobs and lives opened up . Who is the greatest living Prose writer ? Peter Nadas – reason able to show the complexities of the human soul and sexual desire in the written word better than any one else . Cees Nooteboom – travel writer ,prose writer ,novelist ,poet and Holland greatest living writer a jack of all trades and quite possibly a master of them all . 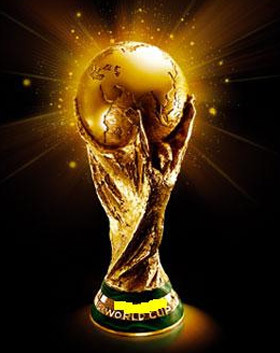 Goncalo Tavares – my current writer I want to read more off and champion . the Portuguese writer is push the bounds of what is fiction unlike anybody has in English for decades . Unexpected, inspired tirade from Ricardo when they’re already a few yards inside the cemetery and he says he’s had a sudden revelation and understood everything all at once .He now sees how pertinent the funeral for the Gutenberg age is ,for we mustn’t lose sight of how much Joyce loved word play . “and I don’t know if you’ve realised that Bloomsday “he says ,”sounds like Doomsday .And the long day Ulysses takes place on is nothing less than that . this passage struck me as wonderful . 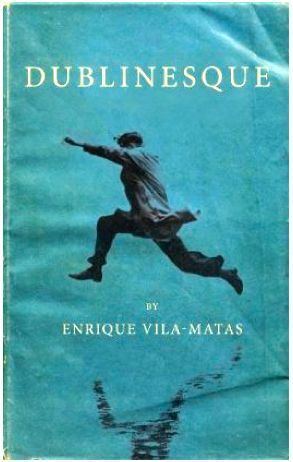 Dublinesque was originally published in Spanish in 2010 ,but here in english two years later and as it happens 90 years after the publication of Ulysses because this book is Villa-Matas ode to that book but maybe also an ode to the written word ,also to Dublin and it many writers .The centre character of Dublinesque is Samuel Riba ,he is a spanish publisher and is turning 60 .It easy to see parallels with Leopold Bloom the main character of Ulysses there are numerous times you see the crossover maybe this is also an honor to Odysseus and Hamlet the two works that partly inspired Joyce’s book as you see the crossover in Ulysses of the books that inspired it .Riba has a dream of going to Dublin and being there on Bloomsday even thou he has never been to Dublin in his life ,this man who feels like Cervantes don Quixote in being the last real publisher a proper editor and paper book lover fighting the battle against the digital word .So he travels to Dublin on bloomsday ,the ghost of his past and Ireland’s past mingle is there a Beckett like figure trying to give him that gem of a book ,a mackintosh figure echo the figure seen in Ulysses by Bloom at the funeral .So rather like Jason in the argonauts he has been hunting a golden fleece in Riba’s case that golden fleece is a book like the ones Beckett and Joyce wrote a writer that breaks the mould and is there to be remembered .So in going to Dublin he maybe buries his dreams like the late Paddy Dignams funeral , as he is a man at a crossroads a career ending a new turn in his life a lament for his broken dreams .He also faces is he drinking too much (is Dublin the best place to face this one does ask ?) also his marriage is wobbly .Know I’m making this feel to formal no it is a wonderful witty book at times with lots of clever ticks to Joyce work that are helped if you’ve read Ulysses but isn’t totally necessary I ve also not read Beckett seen a few of his plays on TV so some of the Beckett reference made me want to read him . So We have another wonderful piece inspired by James Joyce’s masterpiece Ulysses in my opinion one of the greatest books ever written .So Vila -Matas Like Joseph Beuys who made many drawings about Bloomsday ,Phillip Larkin who’s poem Dublinesque is inspired by the book as well and also shares its title with this novel,Burgess nothing like the sun which Harold bloom noted had parallels with Ulysses .I think you’re getting the idea I loved this book in fact I had to hold my self back from writing about til today as I wanted to publish it on blooms day to honour the book the day and also give a taster of Spanish literature just before Spanish lit month next month .The books cover also honours both the book its self and Ulysses as it uses the same font in yellow that was used in the early hardback editions of Ulysses and it honours the book as it shows a man leaping maybe this is Riba the man leaping between one dream and another or from work to retirement .This book takes the micro of Joyce’s work which covers one day in a book then flips it and takes the macro vision of Riba’s whole life lived in a few days in Dublin .A history in publishing remember the books he’d seen float in front of him ,I m reminded of something I once heard Shane MaGowan says about songs being floating round just needing to be grabbed and written ,maybe novels are the same waiting there to be grabbed .If in the UK you may want catch BBC radio four today which has a day long tribute to Ulysses today . Have your read Vila-Matas or Joyce ? What you doing this Bloomsday ? here is a videos for valentines day same song but different versions the Adele and Dylan orginal .For my darling wife on valentines day and every day as she brings me such happiness and feeling of being whole . 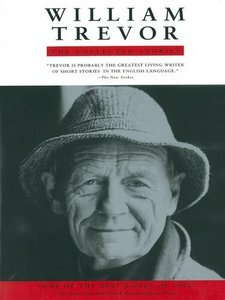 I ve long been a fan of the Irish writer William Trevor ,for those of you not familiar with him he is often called the irish Chekov ,Tim Adams of the observer said of him “widely believed to be the most astute observer of the human condition currently writing fiction .He has long been a booker bridesmaid with five nominations one long list in 2009 and four shortlists 1970 (Mrs Eckdorf in O’Neils hotel ),1976(The children of Dynemouth) ,1991(Reading Turgenev) ,2002(The story of Lucy Gault ).So rather than the Booker prize do what they did with the other booker bridesmaid Beryl Bainbridge and have a prize after she died why not honour the man whilst he is here I feel after the fuss this years prize caused say oh well we’ll stop for a year give it to William as a special one-off price for 2012 for the body of his work ,I would imagine many readers would be disappointed with this choice also it would honour William’s contribution to modern English literature he is a writer that has mixed Chekov, Maupassant short story talent with a touch of Irish tradition from Joyce and O’Connor with the English literature of Maugham and Greene .I love the booker I felt I gave the wrong impression last week it has led me to many good books ,my problem was with this year and recent years that I felt let down with the prize that has been dear to me .But never wanted to lessen the prize and I don’t think readability is dumbing down it is up to each of us what is readable .I felt near the prize being given some people went a little over the top with the vileness of the opinions and also the puppets that think these people are a sort of demi god of English literature !Any way if you think this is a good idea please write a post maybe if enough of us little people shout loud we can make the Horton’s of this world listen !!!! Please support this William Trevor is a writer that touches the soul !! As this post goes up I m up in Scotland at My Grans funeral ,she had a love of books ,was a English teacher .From my Richard Scarry book as a small child through books on Irish Myths ,Saki ,Heyer and even Lord of the rings .There were many books I first saw and found out about at Gran’s .My greatest memory thou is drinking soda steams from glass bottles on a beach in Donegal whilst we made peat fire as a kid this was wonderful as we toasted our soda farls on the fire .